There are multiple ways to finance a real estate deal even if you don’t have your own capital when starting out. Traditional loans are perfect for those with decent capital in savings as well as a solid credit score. Crowdfunding, venture capitalists, angel investors, and micro loans are other real estate financing options for those looking to follow a less traditional route. There are a number of individuals who want to get involved in real estate investing but are reluctant to take the leap. These people are ready to leave their nine to five job in order to pursue a life of financial freedom, but they are unaware of the sources to finance real estate business. Many assume if they don’t have capital of their own, it is impossible to get started. However, this rationale is false. There are a variety of ways to finance a real estate business without using your own money. Not only are there loans issued by the government – which has a vested interest in helping small businesses thrive – but also, there are plenty of private lenders out there willing to take a risk on your business. If you desperately desire to leave your day job so that you can prosper as an entrepreneur, consider these financing possibilities. What Are Real Estate Development Loans? Real estate development loans are capital advancements issued to borrowers who need funds for breaking ground on a project, building, and holding the finished product through the leasing stage. Investors typically rely on real estate development financing to do one of two things: buy raw land to eventually build on or tear down an existing building, only to build a new one. Traditional loans are those you would receive from a bank or an institutionalized lender. Their interest rates are relatively low, in an attempt to remain competitive. However, their lengths are typically long and their underwriting is extensive. Most traditional loans last anywhere from 15 years to 30 or more, and come with an interest rate somewhere in the neighborhood of four percent. Private lenders can be anyone with access to capital and a willingness to invest it. In other words, private lenders can be anyone from a close friend to someone you met at a networking event. As their names suggest, private lenders are not institutionalized or licensed to lend money, but rather do so with the intentions of making their money back with interest. Private lender terms are typically easier to meet, and the duration in which they are willing to lend will be much shorter, but at the cost of an interest rate around 12 to 15 percent. Venture capitalists are high-net-worth individuals or corporations who tend to invest in startups that have shown potential. Venture capitalists are often willing to lend far more than a traditional small-business loan, but their selective nature can be harder to receive approval. Angel investors are usually well-off individuals who provide funding for new business ventures, typically in exchange for convertible debt or ownership equity. Angel investors have developed a reputation for taking more risk, but it’s important to note the money from an angel investor isn’t technically a loan. The money represents the acquisition of part of the business. Small business administration loans are issued by the government in a variety of packages. Small business loans offer a lot of options, but they can be tedious to apply for and are not quick to receive. Real estate crowdfunding is a process that involves pooling together funds from multiple sources and people. Crowdsourcing can offer recipients flexible terms and are growing in popularity. Micro loans offer small business owners to $50,000, though most people tend to take much less than that. Due to their size, small business loans are typically easier to obtain than a traditional loan, but there’s a chance the loan doesn’t cover all of your needs. Hard money lenders are not institutionalized, but they may be licensed to lend money. Their loan terms are typically short and leveraged with the asset in question. Hard money loans come with a high interest rate, often around 12 percent, but they can give borrowers access to capital fast. Home equity loans and lines of credit, or HELOCs as they are known as, represent a type of revolving credit—not unlike a credit card. Home equity loans, however, use the equity in your home as collateral. Money partners are just that: individuals who you may partner up with because of their access to funding. In the event you don’t have access to capital, it may be in your best interest to partner with someone that does; they would be known as a money partner. Commercial loans allow investors to purchase commercial properties. Not unlike traditional loans, commercial loans carry long durations. In order to minimize the risk of default, commercial loans tend to offer low interest rates. As a result, it may be harder to receive approval for a commercial loan. Getting started in real estate investing is not as hard as you may think. If you’ve chosen your focus – i.e. single family homes, apartments, commercial real estate, etc. – and your preferred exit strategy – i.e. flipping, buy and hold, or wholesaling – all that is left is finding the capital to fund your first deal. 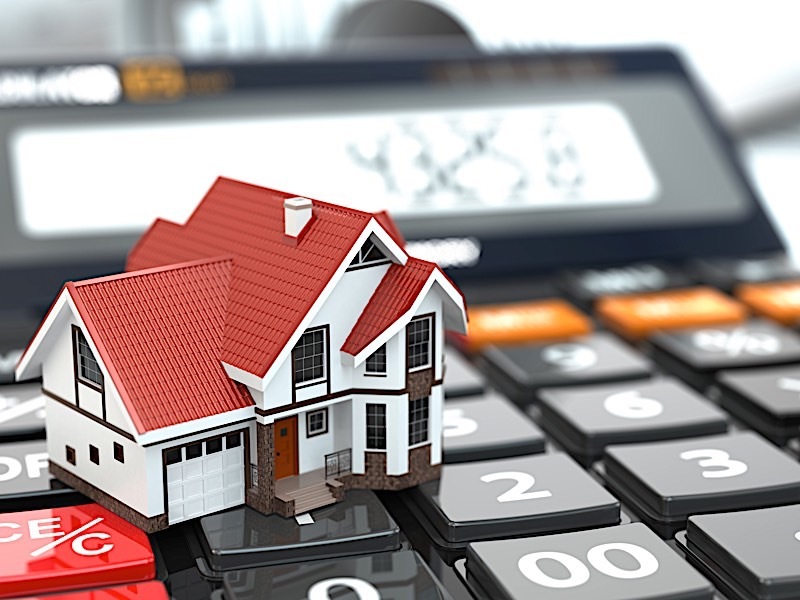 The importance of understanding real estate financing should not be overlooked because financing is what can help you turn your strategies into realities. US Bank: Loans provided through US Bank are a great option as they can allow investors to borrow up to 80 percent of the property value. Their loans can come with variable or fixed interest rates, and repayment terms can be up to 25 years. Wells Fargo: Wells Fargo is one of the biggest real estate funding sources in the country. Investors may find they can be granted funds in as quickly as four to six weeks when working with Wells Fargo. Additionally, they are less focused on borrowers credit when compared to other financing sources. JP Morgan Chase: JP Morgan Chase provides real estate loans to a number of real estate investors each year, focusing on property types ranging from multi family to mixed use. One of the biggest benefits of working with this loan provider is the streamlined application and qualification process. Liberty SBF: This lender is a great option for investors looking to borrow up to 90 percent of the property value. Their flexible loans will typically be made up of three portions, coming from a mix of traditional lenders, development companies and your own down payment. SmartBiz: SmartBiz works to match investors and loan providers based on the borrowers specific needs. Their loans are most attractive for investors seeking financing quickly, though the qualifications can be higher when compared to other loan providers. Funding For Real Estate Investing: Which Will You Choose? In order to find financing for real estate development, you must start by reviewing your strengths. The above options are almost always available, but you must understand what you’re getting yourself into before pursuing a particular strategy. Regardless of what financing option or development loan you go after, all lenders will want to hear certain things. Be straightforward as you lay down the numbers and tell them what they can except. Lenders will want to know your timeline, your expected profit, the loan amount required, when they can expect to see a return, and how involved you want them to be. While it is important to appear confident in any meeting with a potential lender, it is most important to be transparent and gracious. Remember, the lender is helping you. Of course they will benefit so long as the deal pans out the way you hope it to, but they are still taking a risk. Be ready to share your portfolio and answer any question a lender throws your way. Are you ready to find the real estate development financing that is right for your deal? Tell us which option you decide to pursue in the comments below.